Hope they don't use the Triangle Sidings one too often! The Picc line 73TS trains are banned from going there now since the SSR voltage went up to nominal 750V on most sections not shared with the Picc. If it is a signalled move, then it is passed for passenger use. If it is just with subsidiary signals, then possible not It also depends whether facing point locks are fitted which must be if it's reversible. Not exactly banned as there may be a signalling issue at say Hammersmith EB on the local where we can't get back onto the Picc and have to reverse at West Kensington. It does go to 750v past the Barons Court rail gap so we have to cut out all heating and ventilation and then, with authority, we can proceed. That does not disagree with the original statement, which is that they are banned from Triangle. As you clarify, 73TS can proceed as far as West Kensington and reverse east to west in the eastbound platform, but only with equipment cut out and only if there is no other option but to divert onto the District. In the event that West Kensington has issues there is a further emergency plan but that does not include the use of Triangle. Worth pointing out the issue is less the nominal 750V, it's the high regen spikes that could cause issues. The 73TS have not been assured for this level of voltage. In the event that West Kensington has issues there is a further emergency plan but that does not include the use of Triangle. 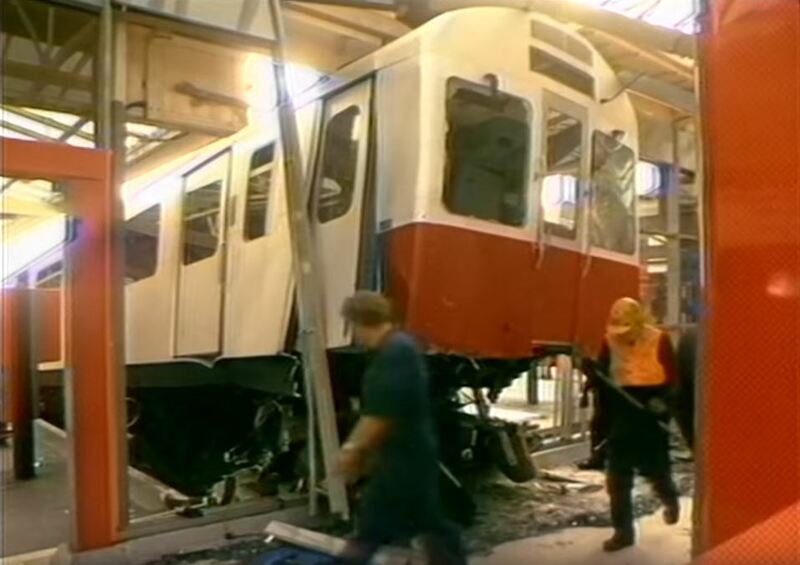 This was prior to the SSR voltage uplift and at the time 73TS were permitted to run to High Street in the event of either signalling issues at Hammersmith or a wrong signal lowered and accepted. If my memory serves me correctly this particular trip was a planned move. It was planned to go to West Kensington but the route failed to send it back west so the next reversing point is High Street Kensington hence it ended up there. Train rolled onto Richmond this morning claiming to be for Chalfont & Latimer fast. Not sure an S7 has ever been to C&L! Once the driver had changed ends, it proclaimed, more prosaically, but rather more plausibly, that it would only go to Tower Hill. Most S7s did a 'rattle run' from Neasden to Amersham and back when originally delivered a few years ago. But they were empty stock then. C&L Fast is code 008 or 009 on the selection screen while Tower Hill from Richmond is 891 and the trip to Richmond 744. Something odd there with fingers or software... Possibly only the first digit of the Next Trip got entered so it got taken as 008. More dodgy info at Richmond this morning - there really needs to be better communication between LUL and the poor SWR staff on the ground who have to deal with the fallout. "(Minor delays" on the rainbow board at 0855, but the departure screens showed the next train in 4 minutes, and another in 14, so all seemed well. However, down on the platform, the train on platform 7 left at 0856 with the display still saying it was due to leave at 0859 (catching several people out who could have caught it if they had realised the doors were closing for real! ), and there was no sign of another. Having decamped to the 0910 Overground departure, (a fifteen minute longer journey via West Hampstead trumps a thirty minute wait for a direct train) I noticed at Gunnersbury that the only information there about the District Line was that the first eastbound was cancelled - no information about when to expect a train - and the westbound train standing in the platform with passengers boarding and alighting was "passing through, please stand back" - slightly more plausible there than at Richmond, but in fact no more accurate. So, why is accurate information on the Richmond branch an optional extra? 21443/44 carried a special vinyl wrap during 2015, when the vinyl was removed the numbers came with it! so the numbers were reapplied using non-standard methods. Interesting! What was the wrap? Does anyone have any insights into why information is so unreliable on the Richmond branch, or indeed what caused the cancellations? 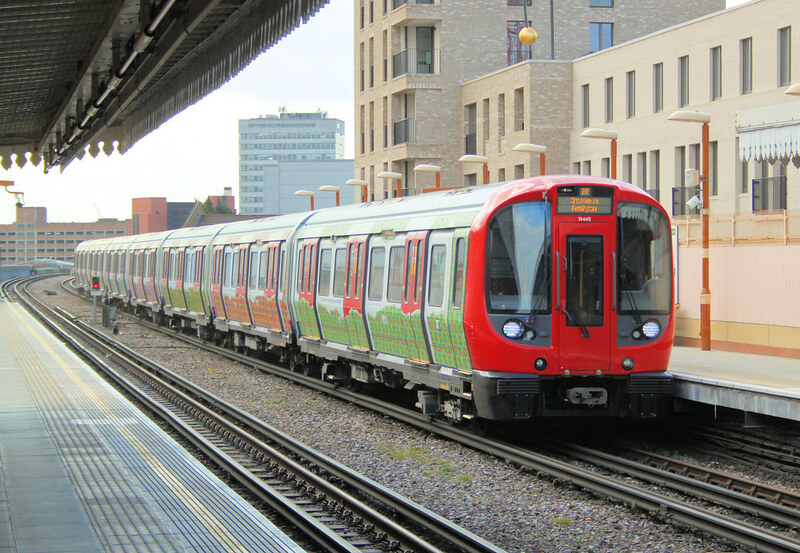 It was the "S stock unrapped" livery as seen in the photo below by bowroaduk. ......and the misinformation on the Richmond branch? How much overview do the District Line controllers have of the trains ( or indeed station platforms) once they reach NR metals at Gunnersbury? As far as I am aware, the only LUL staff who ever go to Richmond are the drivers, and at the crucial moment they are seven car-lengths away from the information screens. Would it not be a good idea to have the screens repeated where the drivers can see them, so that if there is a discrepancy between what they say and what the drivers have been told to do (like leave before the advertised time as happened this morning, or in a different order, as happened one day last week) they at least know about it?